Maya and Ruby. These are the new pets to star in the latest game from Chillingo after Pixel People . Simple, entertaining and very tender. Be Together is a new puzzle game where the goal is to bring together these two cute characters and go completing levels always plotting the right course. Style Cut the rope or Wake the Cat , is a game with very simple controls movement, touching and where you must ingeniártelas to chart the way for a pet to another in the best way possible, and at the same time you should also collect stars and get the highest score. 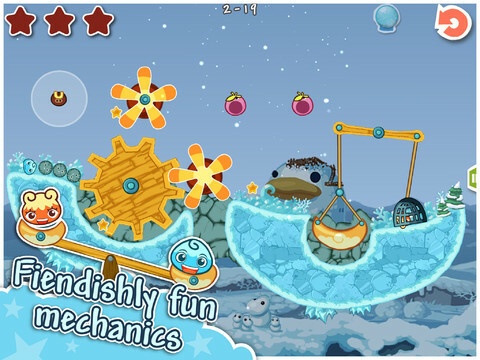 As the game progresses, the levels will be complicated and you can unlock new pets, extra content and new skills. The game has up to 60 different levels. It is a universal application (compatible with iPhone, iPad and iPod Touch) and you can download it for € 0.89 in the App Store. Do you urge one to try?